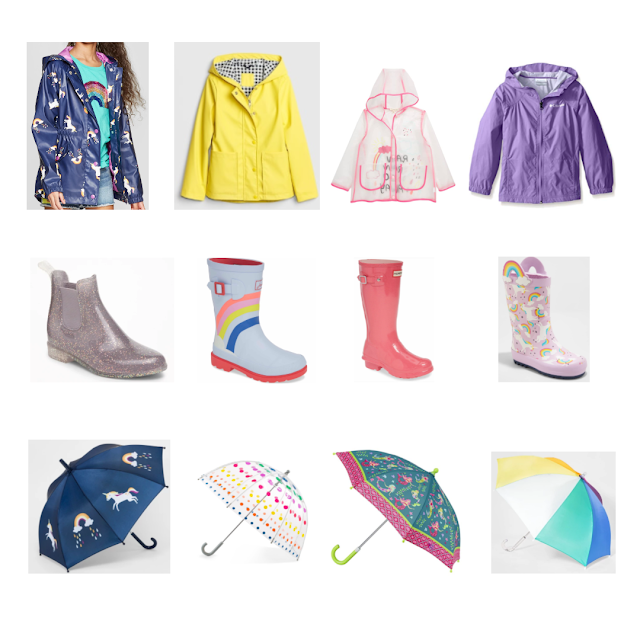 Spring has arrived and my little ladies and I can't wait to head OUTSIDE, even if that means splashing around in a few puddles. My girls LOVE wearing rain boots and I love that they can slip them on and off by themselves! I couldn't help but notice all of the adorable rain jackets, boots and even umbrellas that are out for my little ladies right now. Any of these trios would make the best Easter basket gift too! I have invested in Hunter boots for my girls and they hold up so well, in fact Isla can probably fit into the first pair that Avery had and that Emmy wore too. 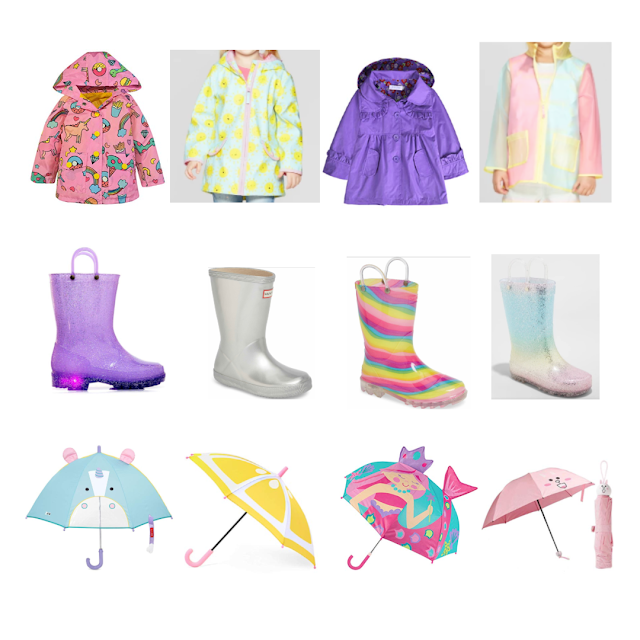 Knowing my girls, they would go crazy for the clear glitter rain boots as well, maybe we will have to add a pair to our collection! Which trio is your favorite!? 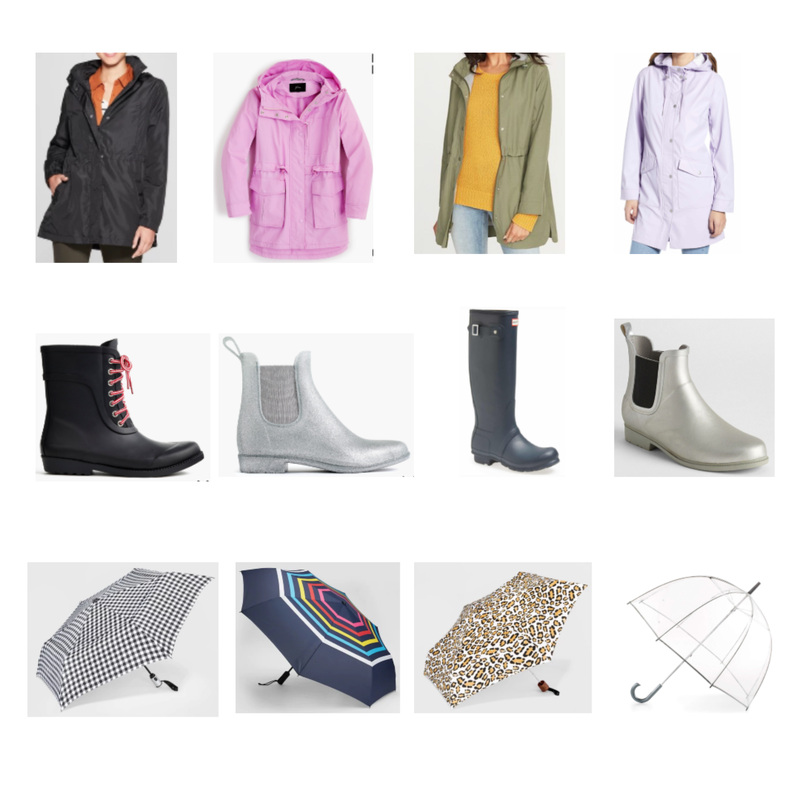 Curious about our everyday adventures, come follow along with our rain days on Instagram!